Please make yourself familiar with our terms and conditions before using this website. The materials and images including, but not limited to, all text and images and their arrangement ("Materials") contained in this website (this “Site”) are provided by EnLink Midstream and may be used for informational purposes only. Your access to, and use of, this Site is subject, in all respects, to the terms and conditions (as revised from time to time, “Terms and Conditions”) described below and all applicable laws and regulations. By accessing and using this Site, you (“you” or “the User”) accept these Terms and Conditions without limitation or qualification. If you do not agree to, and accept, these Terms and Conditions without limitation or qualification, please exit this Site. By accessing this Site, you represent that you are 13 years of age or older. You must not access or use this Site if you do not meet this age requirement. EnLink Midstream may revise these Terms and Conditions, at its sole option and in its sole discretion, at any time without notice. You should revisit this Site periodically to make sure you are aware of the most recent Terms and Conditions because they will be binding on you. Your use of the Site after such changes constitutes your agreement to such changes. EnLink Midstream may (i) terminate, change, suspend or discontinue any aspect of this Site, including the availability of any features of this Site, at any time, (ii) impose limits on certain features and services or (iii) restrict your access to parts or all of this Site without notice or liability. This Site and all of its Materials are owned and copyrighted by EnLink Midstream, with all rights reserved, unless otherwise noted. Any Materials that is a trademark, logo, or service mark is the property of EnLink Midstream or others. Your use of any Materials in violation of those rights is strictly prohibited. The Materials contained in this site may not be distributed, modified, or reproduced in whole or in part without the prior written permission of EnLink Midstream in each instance. This Site contains links to sites owned or operated by parties other than EnLink Midstream. If you use these sites, you will leave this Site. If you decide to visit any linked site, you do so at your own risk and it is your responsibility to take all protective measures to guard against viruses or other destructive elements. In addition, certain Materials and other content available on this Site is provided by such other parties. Such links, Materials, and other content are provided for your convenience and for informational purposes only. EnLink Midstream does not control and is not responsible or liable for, and does not assume any responsibility or liability for, the Materials and other content on or provided by such third parties, nor has EnLink Midstream reviewed or verified any such third party websites, Materials, and other content. Any reference to a commercial or noncommercial product, process, service or company is not an endorsement or recommendation by EnLink Midstream, nor a guarantee of the reliability of the information or product. Without limiting the foregoing, EnLink Midstream specifically disclaims any responsibility if such websites (i) infringe any third party's intellectual property rights, (ii) are inaccurate, incomplete or misleading, (iii) do not provide adequate security or privacy, (iv) contain viruses or other items of a destructive nature or (v) are libelous or defamatory. Links do not imply that either EnLink Midstream or this Site sponsor, endorse, are affiliated or associated with, or are legally authorized to use any trademark, trade name, logo or copyright symbol displayed in or accessible through the links, or that any linked site is authorized to use any trademark, trade name, logo or copyright symbol of EnLink Midstream or any of its affiliates or subsidiaries. Nothing in this Site is intended to override the entity separateness of the entities that may be referred to in this site. EnLink Midstream has numerous affiliates. For convenience and simplicity in this Site, terms such as “partnership,” “company,” “corporation,” “our,” “we,” “it,” “joint venture,” “co-venturer” and “partner” are sometimes used in this Site for convenience and simplicity or as abbreviated references to specific affiliates or affiliate groups and may not indicate precise legal relationships. THE MATERIALS MAY CONTAIN INACCURACIES AND TYPOGRAPHICAL ERRORS. ENLINK MIDSTREAM DOES NOT WARRANT THE ACCURACY OR COMPLETENESS OF THE MATERIALS OR THE RELIABILITY OF ANY ADVICE, OPINION, STATEMENT OR OTHER INFORMATION DISPLAYED OR DISTRIBUTED THROUGH THIS SITE. YOU ACKNOWLEDGE THAT ANY RELIANCE ON ANY SUCH OPINION, ADVICE, STATEMENT, MEMORANDUM, OR INFORMATION SHALL BE AT YOUR SOLE RISK. ENLINK MIDSTREAM RESERVES THE RIGHT, IN ITS SOLE DISCRETION, TO CORRECT ANY ERRORS OR OMISSIONS IN ANY PORTION OF THIS SITE. ENLINK MIDSTREAM MAY MAKE ANY OTHER CHANGES TO THE SITE, THE MATERIALS, AND THE PRODUCTS, PROGRAMS, SERVICES OR PRICES (IF ANY) DESCRIBED IN THE SITE AT ANY TIME WITHOUT NOTICE. IN NO EVENT WILL ENLINK MIDSTREAM, ITS AFFILIATES, OR ANY OF THEIR RESPECTIVE EMPLOYEES, AGENTS, OFFICERS OR DIRECTORS BE LIABLE FOR DAMAGES OF ANY KIND, UNDER ANY LEGAL THEORY, ARISING OUT OF OR IN CONNECTION WITH YOUR USE, OR INABILITY TO USE, THIS SITE, ANY WEBSITE LINKED TO IT, ANY CONTENT ON THIS SITE OR SUCH OTHER WEBSITE OR ANY SERVICES OR ITEMS OBTAINED THROUGH THIS SITE OR SUCH OTHER WEBSITE, INCLUDING ANY DIRECT, INDIRECT, SPECIAL, INCIDENTAL, CONSEQUENTIAL, OR PUNITIVE DAMAGES, INCLUDING BUT NOT LIMITED TO, PERSONAL INJURY, PAIN AND SUFFERING, EMOTIONAL DISTRESS, LOSS OF REVENUE, LOSS OF PROFITS, LOSS OF BUSINESS OR ANTICIPATED SAVINGS, LOSS OF USE, LOSS OF GOODWILL, LOSS OF DATA, AND WHETHER CAUSED BY TORT (INCLUDING NEGLIGENCE), BREACH OF CONTRACT OR OTHERWISE, EVEN IF FORESEEABLE. THE FOREGOING DOES NOT AFFECT ANY LIABILITY WHICH CANNOT BE EXCLUDED OR LIMITED UNDER APPLICABLE LAW. IN SUCH STATES OR JURISDICTIONS, ENLINK MIDSTREAM’S LIABILITY SHALL BE LIMITED TO THE FULLEST EXTENT PERMITTED BY LAW. The information on this site includes forward-looking statements within the meaning of federal securities laws, which are subject to known and unknown risks and uncertainties that could cause actual results to differ materially. We refer you to the discussion of risk factors that could affect future operating or financial performance in our most recent prospectus, Form 10-K, and other SEC Filings, which are available in the SEC Filing section of this website and on the SEC’s website. 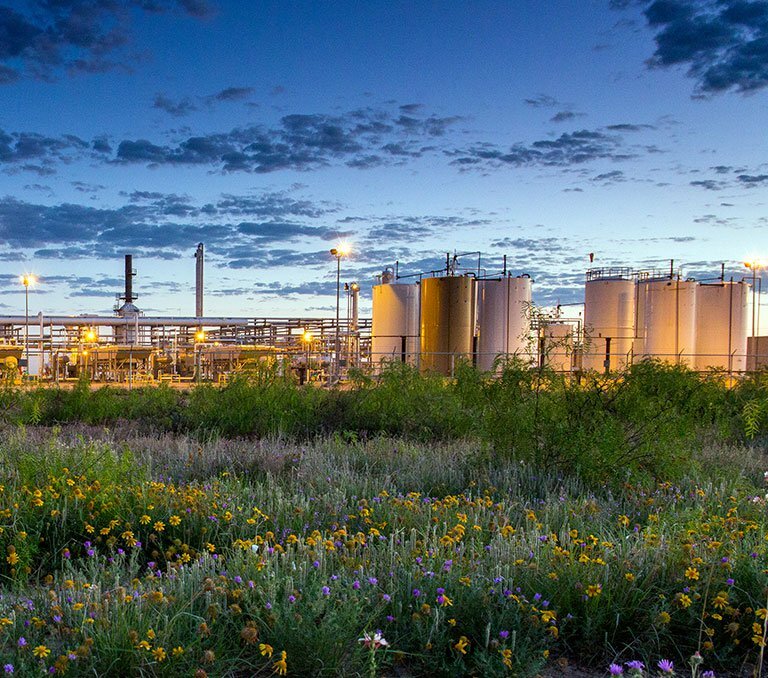 EnLink Midstream assumes no obligation to update any forward-looking statements made here or elsewhere as a result of new information, future events, or otherwise developments.